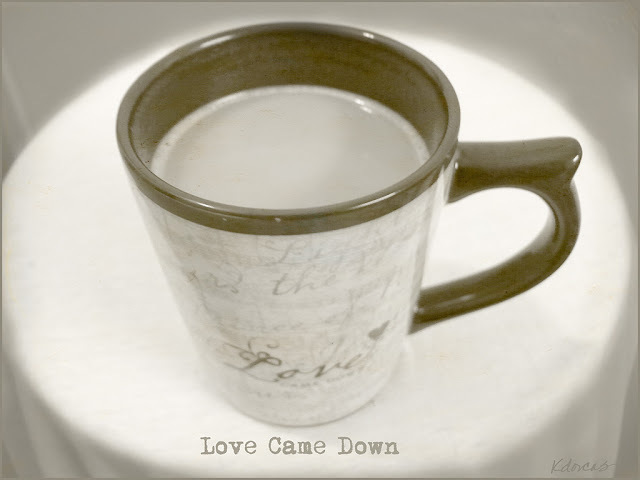 "Love 'Came Down'" is the statement on the cup, with a passage on the inside. Practicing photoshop software - not spending a whole lot of time because of other commitments. But, always so much fun to learn new techniques. i really like both the before and after. Great edits. Thanks so much for sharing.